You will need a good Ribs Spice Rub if you make Baby Back Ribs, Country Style Ribs, Spare Ribs, or Short Ribs, or Pulled Pork. They are all delicious, and easy to make. Make sure to give those ribs a good rub down with the flavorful seasonings in this Ribs Spice Rub recipe. 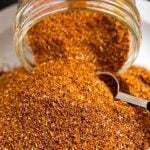 It is a perfect dry rub recipe, and a simple recipe to make! This Ribs Spice Rub is a dry rub, and is perfect for flavoring those Baby Back Ribs you are going to cook up! Full of flavor, not too salty, and a compliment to your favorite barbecue sauce. 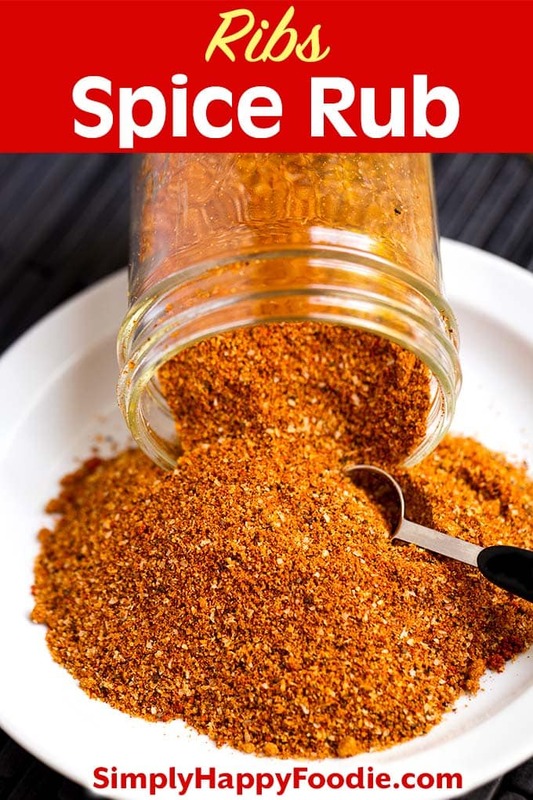 It has just a little kick of heat, but you can double up on the cayenne pepper to make it hotter, if you like the heat! I use this Ribs Spice Rub on my Instant Pot Baby Back Ribs, or on ribs that I’m going to grill or throw into the smoker. This rub is also very good on Country Style Ribs and Pulled Pork. When I make ribs in my house, everyone come running! I also use this Ribs Spice Rub on my Pulled Pork Recipe and my Slow Cooker Ribs recipe. For convenience, and so I don’t run out too quickly, I like to make a double batch and store it in a mason jar in the pantry. It will last a long time this way. 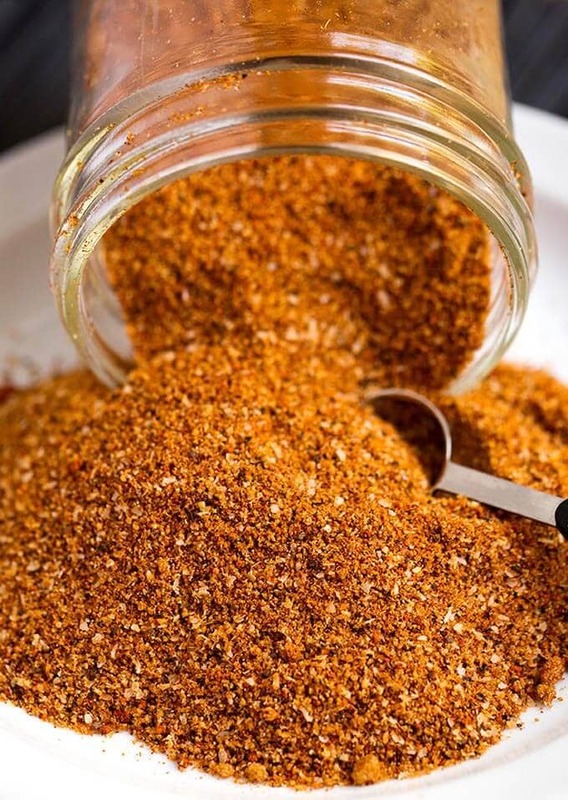 This ribs spice rub is a delicious dry rub recipe for pork ribs, country style ribs, pulled pork, or anything else that you want to put it on. Add all spices to a container with a lid (I use a mason jar) and shake well to mix. Store with lid closed in a cool dry place. I suggest doubling this recipe as it keeps very well. Hi Nick! I haven’t had a mustard bbq sauce in a long time, must make some! Thank you for your review!